Popular video games come and go, but there are some games that stay in our hearts longer than others. Whether it’s a complex multiplayer adventure or a simple arcade game, some video games are constantly being adapted to newer consoles, proving that they’re going to be enjoyed for generations to come. So what games really are timeless classics? 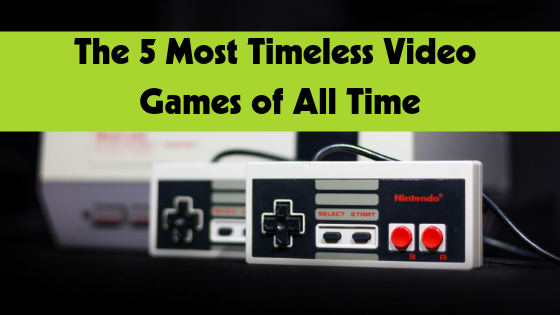 We’ve compiled a list of the top five timeless video games of all time for you to enjoy with your friends at home or during your next GameTruck party! The Legend of Zelda truly is a legendary game. In fact, it has spawned numerous memorable, enjoyable, timeless games. What we like about the Zelda series is that, no matter what new game or edition they released, the roots of the game have always stayed consistent with the others, making its players sure that they were going to be getting a great game every time. Though the first Legend of Zelda game was released years ago during the NES era, it remains a must-play for every gamer today. Starting out as a simple arcade game, the creators of PAC-MAN had no idea that it would turn into the gaming sensation that it is today. We all know him, we all love him… the iconic yellow ball of a character has stayed with us through generations of video games. Spin-offs have even come and gone (here’s looking at you, Pac Man: Adventures in Time) Even all of these years later, gamers young and old enjoy this timeless, revolutionary sensation. This game started out as a simple platform game, the type that has been around since ancient gaming times and is still created today. Though the series has come far from the original format, the classic feel of the game still holds up today. Nintendo has since opened up the Mario world to unbelievable levels and has released classics like Mario Kart 8, Super Mario Odyssey, and more. The level that some Mario Stan‘s will take their love for the series to is next level! The Street Fighter series is credited with bringing along many of the conventions that 1-on-1 fighting games follow. A staple of gaming in the late ’80s and early ’90s, it’s still nearly impossible to visit any arcade and NOT cross paths with Street Fighter! Traveling around the world and taking on new opponents in martial arts fights… Street Fighter pits you against friends and makes you really show your skills. Seasoned players still feel the defeat of hearing “You did quite well, but you need more training to defeat me!” as they solemnly walk away from the game… defeated yet eager to return. When most non-gamers think about video games, they think that video games all mean blood and guts – but that’s not the case! Not every game has to have a huge, elaborate backstory, be riddled with side quests and big bosses, or be one of many games in a huge series. Tetris stands for the fundamentals of video games and we love it for its simplicity. While it might not be as exciting as some of the other games on or off this list, I think we can all agree that it’s timeless. This is a game that our children, grandchildren, great-grandchildren, and more are going to be playing. Play Them All at Your Next GameTruck Party! GameTruck has been providing fun, exciting parties to the Atlanta area for years! With our extensive experience, dedication, and passion for all things video games, we’ll bring you the video game party of your dreams! Give us a call at (866) 253-3191 and leave the rest to us! We’ll bring the party to you… all you have to do is climb in and let loose! When it comes to entertaining kids, most activities can only go so far. Clowns? Maybe for the youngest ones. Ice skating? Bigger liability and tired kids are not happy kids. Laser tag? Uh, yeah—now we’re talking! Laser tag from GameTruck Atlanta brings the party to you, relieving you of the hassles of transportation, planning, clean-up, and more! When it comes time to decide what to do for your child’s birthday party, community fundraising event, team building activity, or any other gathering where entertainment is needed, nothing is more fun for all ages than laser tag! This game offers a unique opportunity to work together as a team and use game strategies to defeat the other team. In order to win, every player on their respective team must work together and form a game plan, providing physical and mental activity for people of all ages! Additionally, this even requires ZERO effort on your part! You simply give us a call, tell us the date, and we’ll get to planning the most epic event you can imagine. We bring the party to you with hours and hours of entertainment, making it perfect for a child’s birthday party, religious celebrations like Purim, and fundraisers! Your guests will never be bored when we bring the entertainment. Personalized Laser Tag Arena in Your Own Backyard! Even better? Bringing the event to you allows us to constantly change the territory for the game! Even if your child has played with us before, every landscape provides different safety zones, territories, and landscapes to explore. Let us handle the fun so you can relax and enjoy the massive amount of appreciation that comes after. 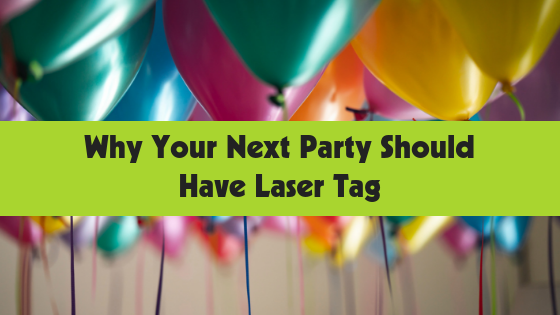 Schedule Your Next Laser Tag Birthday Party Today! 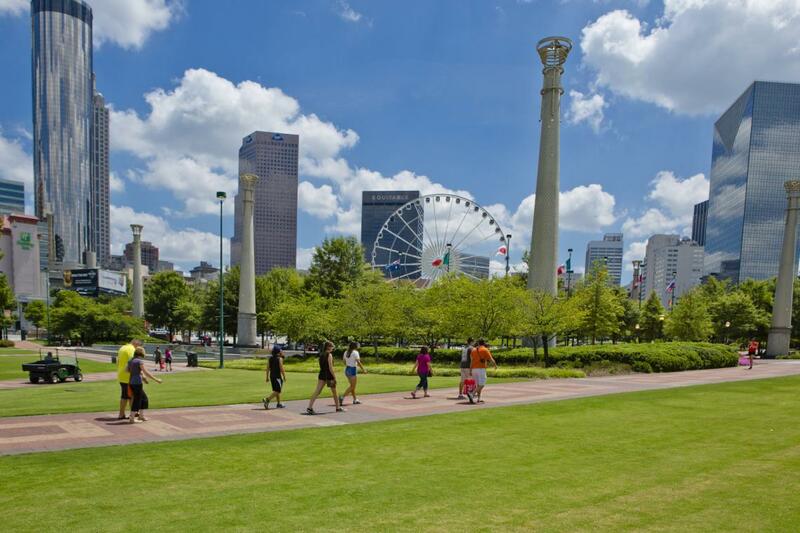 If you’re gearing up for an event, it’s time to call GameTruck Atlanta. We offer video game trucks, laser tag, and water tag, making us great for every season and every event for everyone! Whether it’s a school event, church event, birthday party, or any other type of get together, we’ll bring the party to you and offers hours of entertainment! Give us a call today at 866-253-3191 or contact us here and we’ll help you figure out pricing, location, and how to make this party the best party of the year!